After years of ignoring its original warehouse aesthetic, this 2,400 sq. 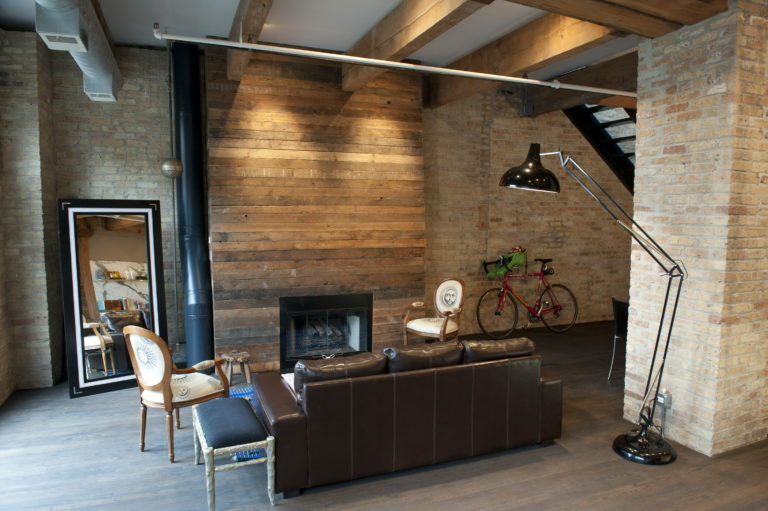 ft, two-story loft has been rehabilitated to show off industrial roots. Layers of paint and drywall were stripped away, revealing timber beams and masonry walls.